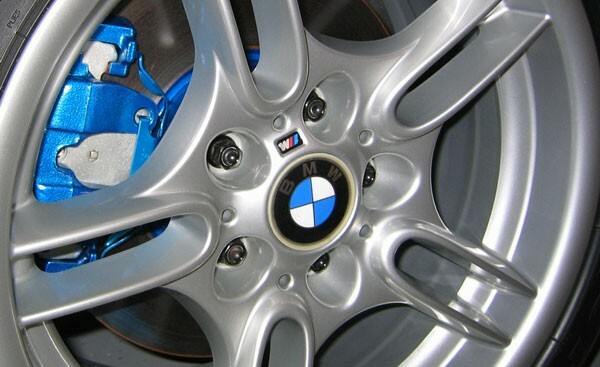 Powder coating is a popular finish for products of many types. It offers an attractive appearance and long-term durability, protecting coated items from environmental exposure, moisture, and corrosion. In recent years, translucent powder coatings have been developed, adding variety and style to many applications. Translucent coatings allow the metal substrate to show through; for example, a copper or brass item coated with translucent powder to protect against tarnishing. They can also be used to add a layer of protection over traditional color powder coats. Translucent powder finishes have become extremely popular in recent years, but proper application can be a challenge, even for professional powder coaters. In this guide, we’ll provide practical tips on applying the powder to achieve a perfect finish time and again. When adding powder coated finishes to certain items, powder coating professionals will sometimes preheat the part being coated. This is typically done when multiple coats are applied to a given item. Preheating is also used to overcome the so-called “Faraday cage” effect, where parts tend to become insulated from electrical charges as the uncured powdered pigments are applied. Preheating can be a valuable approach for certain applications, but it can spell doom for translucent powders. To prevent uneven coatings or application of translucent powders that wind up too thick, it is critical to shoot the powder at room temperature. The ideal application temperature should be between 65-75 degrees Fahrenheit. Too thick of a coating of translucent powders can ruin the desired effect, leaving the cured finish cloudy and unattractive and not letting the substrate or base color show through. As mentioned earlier, translucent powders are often used as a secondary coating layer over a colored or metallic powder. To achieve the best finish, some powder coaters may apply multiple thin coats, measuring the total thickness using a powder comb or a high-tech tool like a magnetic or eddy current device or even an ultrasonic gauge. Experienced powder coating professionals may be able to gauge thickness using nothing more than their eyes. Regardless of the measurement method, the goal is to spray translucent layers as thin and as evenly as possible to achieve the desired finish. Advanced powder coating application equipment is highly complex, allowing the powder coater to manipulate settings to achieve the perfect finish time and again. Professional-quality powder coating guns are equipped with a means to adjust voltage (called kilovolts, or KV, in the industry). Typically, the first powder coat layer is applied at a certain KV setting, then subsequent coats are applied at a reduced voltage. Often, the second coat is applied at 50% less KV than the first layer. In translucent powder coating applications, the KV setting should be as high as possible for the first layer. Then, subsequent layers should be applied at a reduced voltage setting to prevent back ionization or the “starburst” effect. In general terms, according to PowderCoat Services, translucent powders benefit from lower overall voltage levels than their color base layers, too. It is a good idea to experiment with different voltage settings, particularly when the coater is new to translucent finishes. Translucent powder coated finishes are attractive and durable. However, they can be more complex to apply than traditional colors. By testing various KV settings on their equipment, ensuring a room temperature application environment, and keeping an eye on coating thickness, powder coating professionals can ensure a perfect translucent coating that meets desired results.